On May 9, 1923, in the ancestral mansion of S.A. Annamalai Chettiar, a young woman, Thaivani Achi, gave birth to her second son, Ramaiah, which means "Ram worshipping Shiva." S.A. Annamalai Chettiar, two years before, had flown the first private airplane from England to India. He had his own private airport near his home. His family was the wealthiest in all of south India, having amassed a forune as merchant bankers and traders throughout southeast Asia over the previous several hundred years. 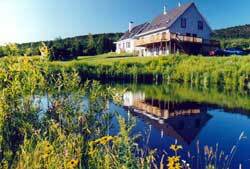 Their home, "Ananda Vilas." ("the place of bliss") was the second largest in the village of mansions, Kanadukathan, in an area known as "Chettinad" 60 kilometers north of Madurai, the ancient capital of Tamil Nadu. Chettinad was inhabited primarily by the Nattukottai Chettiar clan of several hundred families. The Chettiars were south east Asia's first bankers, and their commercial empire encompassed south India, Malaysia, Sri Lanka, Viet Nam, Burma and Indonesia. They had also financed the construction of most of the large temples in south India, with their colossal gopuram towers, over the past several hundred years. The present finance minister of the Government of India, P. Chidambaram is Yogi Ramaiah's cousin, and he has built his career on a solid reputation for honesty and acumen with regards to financial affairs. S. Annamalai, the young father's own father, was a great philanthropist and businessman; his brother, Raja Sir Annamalai Chettiar, had made his fortune importing teak from India to south India, and his palatial home, measuring hundreds of meters in size, and situated next to Ananda Vilas included a thirteen car garage. He had since become a leading industrialist. But his brother, the young father of Ramaiah was more interested in airplanes, fast cars, race horses, gambling and spending his father's money. Ramaiah's mother was a devout young woman, also a Chettiar, with a strong interest in spirituality and mysticism. She was a disciple of "Chela Swami," an enigmatic "childlike saint," and sadhu, or holyman, who would wander into their home every now and then. Completely naked, village boys would sometimes treat him like a madman, throwing stones at him. But no one could ever determine why he was always smiling; the village boys would give to him some bananas, or massage his feet in reverence, and he would smile; then some of them might make fun of him or try to tease him, and he would only smile in response. No one knew where he lived or where he would go when he disappeared for weeks or months; he would come and go like the wind. But Thaivani Achi was devoted to him. Young Ramaiah was educated by tutors and enjoyed the life of a member of the most elite circle in colonial India. He played golf, wore English clothes, and traveled frequently by motor car 300 kilometers north to Madras, where his father owned most of the seaside property for nearly a mile south of San Thome Cathedral. Ramaiah was interested in science and Tamil literature. While his father gambled away the family's fortune, Ramaiah prepared himself for a university education. His father wanted him to go into business, like all good Chettiars, but Ramaiah was adamant. When he was admitted to the University of Madras, Presidency College, the most prestigious institution in south India in 1940, he appealed to his father for permission to major in the subject of geology, with a minor in Tamil studies. After some heated discussion, and after the intercession of Ramaiah's mother, S.A. Annamalai relented and gave his consent. Ramaiah excelled in his studies and in 1944 he graduated at the very top of his class. He applied for post graduate studies in geology at John Hopkins University in Baltimore, USA, and was accepted. His father opposed this proposal, insisting that Ramaiah begin a career in the family's business empire. Finally, Ramaiah succeeded in convincing his father that he should be allowed to go to America, but before doing so, but on condition that he get married first. Betrothed since several years to Solachi, a young woman whose wealthy family lived in the mansion across the street from Ananda Vilas, the marriage was celebrated and Ramaiah and his young bride began to make preparations for a long sea journey to America. However, fate intervened and Ramaiah contracted bone tuberculosis. The best English physicians were brought in to treat him, but as bone tuberculosis was and still is an incurable disease, the most they could accomplish was to arrest its further spread beyond his legs. They did so by imprisoning him in a plaster body cast, extending from his feet to his neck.By immobilizing his body in this way, the further development of the disease was expected to be arrested. He remained in this situation, hanging from the bed posts and suspended in air, for six years. His family left him alone with his young bride and a few servants, at their seaside cottage, at number 2, Arulananda Mudali Street, (now Arulandam Street), San Thome, Mylapore, Madras. While most persons would probably have succumbed in despair to such an unimaginable condition, Ramaiah had a source of strength which enabled him to survive this difficult period. His mother had given to him an innate love for spirituality, and so rather than seeing his situation as a curse, he realized that he could use it to explore the inner realms of his soul. Being an avid reader, Ramaiah studied the classics of Indian spiritual literature. He was particularly impressed with the poems of Ramalinga Swamigal and the writings of Sri Aurobindo. His family had served Ramana Maharshi for three generations, and he could appreciate his method of Vichara Atman. Unable to move or engage in any normal activity, he also began to practice meditation seriously, and whenever possible, he would send his chauffeur with an invitation to famous sadhus or gurus who were visiting the area. Intrigued by the sincerity of this young man, encased as he was in a plaster body cast, they would come and train him in the art of meditation and breathing. Unable to explore the external world, he turned his attention to the inner world. Without other distractions, he made rapid progress. One of the sadhus, who had the most influence upon him was a middle aged man named "Prasanananda Guru." He was a famous "tapaswi" an ascetic who could remain motionless for many weeks, locked in meditation or trance. He was sometimes summoned by the chieftains of drought stricken areas because of his ability to make it rain. In 1948, he ended a three year drought in Chettinad, after sitting for 48 days at the Brahmanoor Kali temple, one kilometer outside of the village, performing yogic tapas, or intensive meditation. At the end of one "mandala" of 48 days, the rain came in torrents. Since that time drought has never returned to this area. Another of Ramaiah's early gurus was Omkara Swami, a former postal worker, who had become a famous "tapaswi," who would sit without moving for 48 or 96 days without a break, locked in samadhi trance. They shared with Ramaiah their intimate knowledge of yogic sadhana. In 1952, Ramaiah wrote and published a biography of Omkara Swami, entitled "A Blissful Saint." They maintained a friendship until the latter's passing in the 1960's. On March 10, 1952, the day that Yogananda attained mahasamadhi in the USA, Mauna Swami, a colorful sadhu and disciple of Shirdi Sai Baba came to the San Thome home of Ramaiah, and after demonstrating his clairvoyant powers, predicted with great assurance that Ramaiah would soon be healed. But before this could occur, Ramaiah succumbed to despair, and one night decided to end his life by holding his breath. Then, as he was doing so, he suddenly heard a voice say: "Do not take your life! Give it to me!" Startled, he took a deep breath, wondering who could this be. Then he realized that it must be the mysterious figure whom he had begun to see in meditation after the visit of Mouna Swami. The first time this occurred, he had a vision of Shirdi Sai Baba, wearing his characteristic orange head cloth. He eagerly asked Shirdi Sai Baba: "Are you my guru?" The reply came: "No, but I will reveal to you who is your guru." Just then, he saw for the first time his guru "Babaji." The next morning, Ramaiah awoke with the realization that he had been healed. The English doctor was summoned and the body cast was removed. To the astonishment of everyone, the doctor's examination revealed that the dreaded disease had disappeared. During the following days Ramaiah regained the use of his legs. He also began chanting softly the name "Babaji" and then "Om Babaji" and "Om Kriya Babaji" and finally the five syllableed "panchakra" mantra "Om Kriya Babaji Nama Aum," with utter gratitude and delight. One day shortly thereafter, he came across a newspaper advertisement for a new book about the renowned saint "Satuguru Rama Devi," entitled "9 Boag Road," which was the address of her residence in Madras. The author was V.T. Neelakantan, a noted journalist. Ramaiah penned a postcard to the latter, requesting a copy of the book and addressing him with "Dear Atman." Upon receipt, the journalist thought that the sender of the postcard must be a "money bag," that is, some idle wealthy person, but out of curiosity, he decided to pay him a visit in San Thome. Thus began a friendship and collaboration which lasted nearly fifteen years. V.T. Neelakantan had been receiving frequest late night visitations by the same mysterious figure, Babaji, in his puja room in Egmore, Madras. Babaji soon revealed to Neelakantan that he was to work closely with Ramaiah to establish a yoga society in his name, "Kriya Babaji Sangah," and to write and publish his teachings in a series of books. Over the next two years, during late night visitations to V.T. Neelakantan's home, Babaji dictated several books to V.T. N., "my child," as Babaji called him: "The Voice of Babaji and Myticism Unlocked," "Masterkey to Alls Ills," and "Death of Death." V.T.N., then 52 years old, had been the foreign correspondent for several years before and during the second world war, both in Japan and London, for one of India's leading newspapers's, the Indian Express. Because of this, he had also become a confidante to Pandit Nehru, President of the Congress Party, and subsequently India's first Prime Minister when India became independent from Great Britain in 1947. Before the war, for more than fifteen years he had also worked side by side with Annie Besant, the longtime President of the Theosophical Society, and the successor to Madame Blavatsky, who trained him in the occult. He was also married and the father of four sons and a daughter. At the end of the 1940's he left his family for two years, and went to the Himalayas as a renunciant, where he studied with Swami Sivananda and other saints. On October 10, 1952, "Kriya Babaji Sangah" was officially founded, and regular lectures, meditation classes and other public activities were organized at the San Thome home of Ramaiah. Ramaiah was the President, and V.T. N. was the "Acharya." Press equipment was acquired and a Kriya Yoga Magazine was published several times a year. More books were also written, despite V.T.N. 's fragile health. Ramaiah wrote the introductions, and V.T.N. wrote down the dictations from Babaji. Babaji began directing the sadhana of V.T.N., Ramaiah and Solachi, with specific instructions regarding meditation and mantras in particular. Babaji also began appearing to Ramaiah and in 1954 Babaji summoned him to Badrinath in the Himalayas. He was asked by Babaji to go outside the temple village, situated at a height of 3,500 meters or 10,500 feet, taking nothing, and wearing only a loincloth. Ramaiah, then 31 years old, wandered north up the valley through which the Alakanantha River, a principle source of the Ganges, flowed from its glacier One day, he came across two sadhus, sitting on a flat rock. One smiled at him, the other frowned and began hurling verbal insults at him. "How could a dark skinned south India dare to wander here, dressed only in a loin cloth," he mocked. Ramaiah went up a little higher beyond the catcalls of the sadhu, and sat down on a rock and began to meditate. Several hours passed. Suddenly, he heard someone approaching and urging him to come down to the village for food. Ramaiah indicated to him that he would not, and that he should be left alone. Several more hours past; it was dark, when suddenly, the same sahu, who had smiled at him, returned, and began forcing food into his mouth. "Jai Babaji" he thought. "Even here, in this cold, desolate and treeless place, Babaji takes care to feed me." After three days of wandering, Babaji revealed himself physically to Ramaiah and began to train him in the sacred science of Kriya Yoga. Over the next several months, in his cave beside the glacial lake known as Santopanth Tal, thirty kilometers north of Badrinath, Ramaiah learned a complete system of 144 Kriyas, or techniques, involving breathing, yoga postures, meditation and mantras. He also enjoyed the fellowship of Babaji's principle disciples, Annai Nagalakshimi Deviyar, also known as Mataji, and Dadaji, who was known as Swami Pranavanandar, in his previous incarnation, as well as other close disciples of the great Satguru. Among other things, Babaji also taught him how to withstand the cold temperature with a breathing exercise. After several months in the Himalayas, upon his return to Madras in 1955, Ramaiah committed himself to a very rigorous "tapas" or intensive period of practice, during which time he worshipped the Divine Mother in the form of Kali, in her most fearsome form. In order to purify oneself of desires and to overcome such limitations as fear and anger, the worship of Kali is considered to be especially effective. She personifies "detachment" from the ego's attachments, symbolized by the heads she lops off. While Patanjali, in his Yoga Sutras, dryly recommends vairagya or detachment as the principle method of classical Raja Yoga, such a practice assumes a personal form when one engages oneself seriously in ascetic tapas. Sitting still in a room for many days on end, human nature rebels, and only complete surrender to the Divine, in the form of Mother Nature, Kali, it seemed, would enable him to overcome his ego's resistance. Tap means "to heat" and tapas means "straightening by fire," or "voluntary self-challenge." It is the original term for "Yoga." It begins with an expression of a vow, for example, not to leave a place, or not to eat, or not to speak, etc. for a set period, for example, one "mandala" of 48 days. Jesus Christ's 40 days in the wilderness was a form of tapas. Having completed his tapas, Ramaiah was born anew; he had experienced deep states of stillness, known as samadhi, and would hereafter be known as "Yogi Ramaiah." 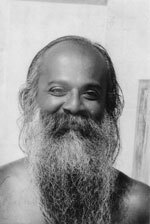 He was also given several important assignments by Babaji: to begin the study of physiotherapy and yoga therapy in order to help those who like himself, were handicapped; to begin teaching Kriya Yoga both in India and abroad; and to begin to research and gather the writings of the Babaji's gurus, Boganathar and Agastyar. Yogi Ramaiah, along with Solachi moved to Bombay where he enrolled in the program to become a physiotherapist at G.S. Medical College and Hospital, the largest in that city. He also studied and applied yogasanas successfully to the treatment of his patients. About 1961, towards the end of his studies there, he asked his professors for permission to conduct clinical experiments. He told them that he believed that he could cure over 20 different types of functional disorders through the use of yoga alone, including diabetes, hypertension, appendicitis and infertility, all within three months time. Permission was granted and the patients were selected by the attending physicians. For three months he worked with these patients every day, guiding and encouraging them in their practice of yoga, and allied regimens of diet and sun treatment. After three months, to the amazement of the physicians, all of the patients had become well. In recognition, he was awared an honorary diploma. Preferring not to wait any longer to complete the academic requirements, he returned to Madras, where he founded a free clinic for the poor in San Thome, specializing in the handicapped, as well as a department of orthopedic rehabilitation in Adyar, Madras. He operated the free clinic for nearly ten years. The orthopedic rehabilitation department continues its operations to this day on Mount Road, just north of the Adyar bridge. In 1985, the author visited with Yogi Ramaiah the G.S. Medical College, and demonstrated the 18 yoganasanas while Yogi Ramaiah lectured to over 500 professional staff members in the auditorium. His successful use of Yoga was still remembered by the senior staff. From 1956 Yogi Ramaiah and Solachi began traveling to Sri Lanka, Malyasia and Viet Nam, where he would conduct lectures, yogasana classes, and initiations into Kriya Yoga, as well as free medical camps for the handicapped. One devotee, an engineer, living at no. 51 Arasady Road, in Jaffna, Sri Lanka, recounted to the author, in 1980, how he had seen Yogi Ramaiah many times in his dreams prior to their first meeting. In 1958, Sri Lanka was rocked by its first communal riots between the Tamils and Sinhalese. These occurred while Yogi Ramaiah was conducting his third annual "Parliament of World Religions and Yoga." An ecumenical conference attended by local leaders of various religious groups. One participant was Swami Satchidananda, representing the Divine Life Society, founded by Swami Sivananda. A Tamil from Coimbatore, he was deeply impressed by Yogi Ramaiah and his efforts for ecumenism. Thus began a lifelong friendship. When, in 1967, Swami Satchidananda left for America, he stopped at Yogi Ramaiah's seaside ashram in San Thome to receive his blessings. Yogi Ramaiah took him to the airport and gave him a royal sendoff. After Yogi Ramaiah himself moved to New York City, in 1968, they often attended one another's functions. For example, the graduation ceremony for students of the Tamil language course conducted at Yogi Ramaiah's ashram at 112 East 7th Street, N.Y.C. and the Parliament of World Religions and Yoga at Rutgers University in 1969. In Sri Lanka, in 1958, the Prime Minister came to the last day of the Parliament to personally thank Yogi Ramaiah and the other speakers for helping to quell the riots with the speeches promoting inter religious understanding. In Malaysia in the early 1960's, Yogi Ramaiah and Solachi found many persons interested in Kriya Yoga. Solachi had received as part of her marriage dowry, a large rubber plantation from her family. Yogi Ramaiah's great grandfather had his life miraculously saved at the end of the 19th century by a mysterious yogi, subsequently identified as Babaji. Yogi Ramaiah's father-in-law, Dr. Alagappa Chettiar, had founded a college in Pallatur, 8 kilometers from Kanadukathan, where Yogi Ramaiah used to teach Yoga. He loved Yogi Ramaiah very much. But after his death, the families of the young couple began condemning their itinerant lifestyle and interest in Yoga, and the absence of any children. It was unheard of for young persons to become so seriously engaged in Yoga, unless they renounced everything as sannyasins. Fearing this, quarrels heated up and Solachi fell seriously ill. During her convalescence, she moved back into her mother's home in Kanadukathan. Relations with her son-in-law deteriorated, and during the final days of her life, in 1962, the greedy mother tricked her daughter Solachi into signing over all of her properties to herself, stole her jewelry, and refused Yogi Ramaiah access to his wife. After her death, Yogi Ramaiah's mother-in-law compounded the tragedy by bribing a judge in Malaysia to give her title to all of her daughter's property there. About this time, Yogi Ramaiah decided to break with his own family. His mother had passed away, and his father was a materialist and actively opposed to Yogi Ramaiah's activities involving Yoga. Disparaging remarks were made, and finally Yogi Ramaiah decided that he must break away from his family once and for all. Rather than wait for his share of the joint family property, normally distributed after the demise of one's parents, he negotiated a settlement which gave him enough money to purchase a large house in Kanadukathan, at 13 AR Street. For several years, it had been used as a hotel for local college students. During the 1970's Yogi Ramaiah renovated it, and built within its walls several sacred edifices: a shrine to Babaji, a shrine to the lady Siddha Avvai, containing over a thousand palm leaf manuscripts written by the Yoga Siddhas, which he had collected over many years from private collectors and museums while wandering all over Tamil Nadu; and shrines to Mataji and Dadaji. A beautiful gopuram tower with images of the 18 Yoga Siddhas was constructed over the front gate. Despite his practice of Yoga, however, Yogi Ramaiah remained scarred by his family, and as we shall see subsequently, he later concentrated considerable efforts into rehabilitating his reputation with his family. Yogi Ramaiah wrote and published a book on the 18 Yoga postures, profusely illustrated with photographs, as well as a book entitled "Songs of the 18 Siddhas," in 1968, with selections from the palm leaf manuscripts he had collected. Babaji, he related, had given him the assignment to see that their works were published one day. His close friend, the Tamil poet and renowned yogi disciple of Sri Aurobindo, Yogi Shuddhananda Bharatiyar, wrote a beautiful introduction to this work. In subsequent years, Yogi Ramaiah had the writings of Boganthar transcribed from the palm leaf manuscripts, and then published in Tamil, in a modern book form, in several volumes, beginning in 1979. He had over the years also continued to publish a Kriya Yoga magazine, with the assistance of V.T. Neelakantan, However, their long collaboration came to an end around 1967 when they had a personal falling out. The reasons for the falling out are unknown to this author, as Yogi Ramaiah avoided making any comments about V.T.N., even when questioned by the author in 1972. (In 2003, however, the author obtained information from V.T.N. 's sons about his later years. V.T.N. continued to be devoted to Babaji and to practice regularly mantra sadhana in particular until his passing in 1983, in Madras; V.T.N. 's wife expired in 1992. He lived a quiet, private life until the end; there was no reconciliation with Yogi Ramaiah). In 1967 Yogi Ramaiah went to Malaysia and then to Australia where he conducted initations in Kriya Yoga. One student, Filinea Andlinger owned a piece of property several hours drive from Sydney, and on it there was a large cave. Babaji did intensive tapas in this cave, according to an account which Babaji related to Yogi Ramaiah. In early 1968 Yogi Ramaiah moved to the United States. When he arrived in New York City he had expected to be able to work as a physiotherapist, but his academic credentials were not recognized. So, he decided to acquire American professional qualifications as soon as possible, by enrolling in courses in prosthetics and orthotics. Until then, however, he lived in primitive conditions in an abandoned building on East 5th Street, in lower Manhattan, and worked part time in a bookstore. He began giving talks and classes related to yoga, which attracted local young people. It was the "summer of love" in New York City, and the Haight Ashbury of San Francisco. Young people were looking for new ways to "get high" and psychedelics and Yoga were entering the consciousness of the new generation. He encouraged his new bearded young students to give up drugs, to practice Yoga and to get a job. A small community of followers formed around him, and several apartments were rented to house them and the activities of his newly formed "American Babaji Yoga Sangam." Its first President, Dolph Schiffren managed to obtain a permanent residency "green card" for Yogi Ramaiah, as the Founder-Minister of this new non-profit organization. They also acquired their first property in America, a 30 acre partially wooded lot, in Richville, N.Y., at an auction, sight unseen, for $3,000. While it was a seven hour drive from N.Y.C. it would serve them during summer retreats. The early followers included Dolph Schiffren, his wife Barbara, Mary Chiarmante and her partner Richard, as well as Lloyd and Teri Ruza. Subsequently, Leslie Stella, Andrea Auden, Ronald and Anne Stevenson, Donna Alu, Michael Bruce, Michael Weiss, Cher Manne, and the author, as well as David Mann, brother of the famous Hollywood producer, Michael Mann, and Mark Denner. Before moving to California in the summer of 1970, Yogi Ramaiah took Dolph and Barbara with him to Madras, where they were to conduct classes and develop the center. In September 1970, Yogi Ramaiah moved to Downey, California, where he lived with the author and four other students in a small apartment on Longworth Boulevard. He subsequently moved into a small house with the same students on Chester Street in Norwalk, and enrolled in the Prosthetics and Orthotics ("P & O" ) studies at nearby Cerritos College, and began bringing home artificial legs and braces to work on. He also began conducting lectures and yoga classes. Charles Berner invited him, as well as several other well known yogis, including Yogi Bhajan, Swami Satchidananda, and Swami Vishnudevanda to a meeting to discuss the organization of the first "kumba mehla" in North America. He envisaged six jumbo jets bringing a couple of thousand Indian sadhus to a farmer's field in Oregon. The author attended several meetings intended to organize the logistics, but the proposal succumbed under the weight of its grandiosity. However, Yogi Bhajan invited Yogi Ramaiah to his home, just off Sunset Boulevard, in Hollywood, for a private meeting. The author accompanied him. It was s memorable occasion. Yogi Bhajan, the Sikh master, over six feet tall, and weighing over 250 pounds at least, with his regal attire, white turban, sitting next to the dimunitive Yogi Ramaiah, who was dressed like his idol, Mahatma Gandhi, with a khadi homespun dhoti draped from his waist, and a towel draped over his shoulders. Their only resemblance was their big beards and glowing eyes. For nearly half an hour no words were exchanged. They sat in silence, while the author wondered what was going on. Afterwards, a few pleasantries were exchanged and we departed. A couple of weeks later, during a public meeting of Sikh devotees, Yogi Bhajan told the crowd that he had met a great saint, Yogi Ramaiah. The author then realized that their communication had been at the deepest possible level. When I once asked who to consult with regards to Kundalini, if he was available, he recommended Yogi Bhajan. Thus began a long term friendship. In December of 1970, Yogi Bhajan was one of the principal speakers at the "Parliament of World Religions and Yoga" held at UCLA. The author enjoyed inviting most of the speakers who attended. When we moved into our new ashram, Yogi Bhajan attended the dedication ceremony. Commenting on how many gray hairs were already in Yogi Ramaiah's beard, I recall him lamenting about how he had just returned from taking his first group of American Sikh disciples to Amritsar, in the Punjab, and how they had given him so many gray hairs. As disciples "You are millstones around our necks" he told us, and exhorted us to remain faithful to our path. Over several months in early 1971, Yogi Ramaiah initiated into the 144 Kriyas, twelve of his students, those who were living in the centers he had established in California, New York, Washington, D.C., Baltimore and New Jersey. Before being accepted for this training they had to practice the Kriya Yoga techniques they had already received during the first and second initiations, for at least 56 hours per week, and for 52 weeks. They also had to submit records of their employment, weekly day of fasting and silence, and other disciplines. Yogi Ramaiah knew how to inspire and motivate us to excel in our yogic sadhanas. The author and most of his dedicated students loved the practices. "Simple living and high thinking" was one of his motto's and we felt sanctified by all that he did for us. He also organized a pilgrimage to Mount Shasta, in northern California, and several retreats and many lectures, where he spoke with great inspiration on "Tamil Yoga Siddhantham, the teachings of the 18 Yoga Siddhas. Throughout his life, Yogiyar felt that he had been often betrayed, both by family members and his students. He had an unbending nature, and authoritative and controlling ways. He knew best, and he did not appreciate anyone questioning his wisdom or ways of doing things. He seemed to pride himself on being able to "crush the ego" of his various students, as if this was the most effective means to liberation. We appreciated his ability to reveal our "shadow side." Unlike some gurus, who treat their students in only the most respectful and loving manner, Yogiyar, as we called him affectionately, avoided the confusion which that approach entailed. He did not love us as we were as persons,with all of our hang-ups, but he did love who we truly are. By chipping away at the outer personal attachments and idiosyncracies, he helped us to realize our deeper, true Self. As students, we accepted this approach, which involved many painful rebukes, long sessions of karma yoga involving manual labor or routine activities for hours on end. He seldom acknowledged our talents, at least not personally, and refused to delegate more than the most menial of tasks. Organizationally, he appeared to nearly always do the opposite of what would be most effective, eschewing recognition and becoming more than a small collection of students devoted to the practice of Kriya Yoga and to the work, which included working on ourselves. For example, during his retreats, rather than collecting one fixed amount at the beginning of the retreat, he would send various students around during the first or second night, while the students were sleeping, with requests to contribute $5 to "the dog fund," or $20 for "the building fund," or $15 for "the car fund." So, each time one had to reach for one's wallet, one got another lesson in "detachment." However, if you did not realize that the game he played was "catch the ego" you could easily get hurt and quickly leave. Those who stayed did so by developing a good sense of humor. Yogiyar also placed a premium on education, and encouraged all of his students to go back to school, and seek more qualifications. Many of his students were drop outs, but he motivated them to make a contribution to society, particularly in the field of health. Several of them became qualified orthotists or prosthetists: Edmund Ayyappa has for many years been the Director of Research, in Orthotics, at the Veterans Administration in Long Beach, California, and has developed many innovative electronically controlled artificial limbs. Ronald Stevenson and John Adamski founded their own P& O Clinics in Virginia and Chicago, respectively. Others became nurses. As the author had already some qualifications from the School of Foreign Service, Yogi Ramaiah asked him to go to Washington, D.C. in 1973, after one year in India, and to take the civil service exams; he subsequently advised him to accept a position as a civilian economist in the Pentagon, in 1972, where he worked for four years. Yogiyar himself obtained his diplomas in Orthotics and Prosthetics, and worked for several years as a P & O laboratory technician, making and fitting artificial limbs and braces. In this capacity, he also began visiting migrant worker camps in the Imperial Valley in 1973, with a portable P & O workshop in a small house trailer. Consequently, finding that the hot desert climate resembled that of his ancestral home in India, he purchased a 10 acre plot in the Imperial Valley, with an old farm house, and began spending much of his time there. He obtained a position as an instructor at the local Imperial Valley College, at a time when Yoga was relatively unknown. He would conduct his classes in his India dhoti, and a white lab coat, and would teach the college students how to improve their health and well being through Yoga postures and breathing. After about eight years there however, opposition to him from fundamentalist Christians at the college, combined with his frequent travel obligations ended his tenure there, but he obtained a position at Arizona State College, one and a half hours away in Yuma, Arizona. The author signed mortgage papers to purchase a small farmhouse on five acres of land, on the southern outskirts of town. During this time, we began to make fun of Yogiyar's business card, which mentioned more and more qualifications and academic positions, as his educational experience developed. He later earned a doctorate degree from Pacific Western University, by correspondence, and had himself photographed in a studio in "cap and gown." 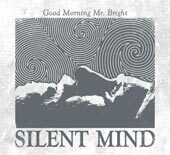 While he often seemed unable to engage in social chatter with acquaintances, and did not seem to care that his appearance was totally foreign to strangers, his business card seemed to play an important means for him to tell those he met for the first time that he was someone who was not so strange after all. During his three decades in the USA, where he became a citizen in 1975, he gave thousands of lectures and demonstrations related to Yoga Therapy, in hospitals and before medical conferences. Some considered him to be a "gadfly" or "social conscience" at such conferences because of his efforts to raise their standards. At the P & O conferences, in particular, he made a concerted effort to raise the mentality and professionalism among its members. Even in the 1970's the average P & O workshop displayed "girly" calendars on the walls, and the conferences were mostly about alcohol. So Yogiyar inspired several of his women students, including Suzanne Fournier to become professional prosthetists and orthotists. To the medical professionals at all levels he emphasized that the most important element in treating patients was "to love the person," not the drugs or the technology. He himself treated the worse cases, persons without any arms or legs, or severely deformed, with so much of love, as if they were the Master himself, with great care and confidence that he could do something for them. He loved animals, and maintained a menagerie of dogs, cats, goats, and cows at the Yuma and Imperial Valley Centers. Even at the Richville, New York center, he insisted that we maintain a huge white Charolais bull for many years. While it was burden for us to care for, it was we felt, important to treat them with reverence, especially when our neighbors saw them only as a source of food. "Sacred cows" as in India, were more than a memory for us. They were one element of his aspiration to bring Indian culture to the West. Our dress, our eating habits, the ways in which we slept on the floor, went to the toilet, bathed, and even avoided most furniture, and especially television, was all part of a social experiment, if not a social mini-invasion of a materialistic culture. He was not about to become like his neighbors, and if you were his student, and wanted to live in one of the centers he established, you had to conform to his cultural ways. There was also a very practical reason for this requirement: when we were sent to live and practice and work in India, we were well adapted, and could live there for years without difficulty. This was of course at a time when India had little in the way of modern Western conveniences, and consequently, it was ordinarily very difficult for Westerners to live there. He focused his attention on training a few persons who could blend with his energies, do the sadhana and help him fulfill the assignments which he received from Babaji. He also indicated that he was planting "seeds" which might take hundreds of years to produce fruit. These "seeds" would sprout in the collective consciousness and culture of western society for decades to follow. When asked by the author once how America would be in the middle of the 21st century he cooly replied that it would "level up with India spiritually." His actions were often not motivated by near term gains, but long term effects on the planet as a whole. While his motivations appeared at times enigmatic, they were usually grounded in the ancient principles of Yogic culture. Unlike most teachers, Yogiyar financed his activities in a non-commercial manner. For nearly three decades, the initiation seminars for example, which last several days, involved a donation of only $16. All of the regular and extraordinary expenses, however, were paid for by the one or two dozen students living in the half dozen centers he had established in North America. He made it very difficult for anyone to become a resident, but once they had proven their capacity to live a disciplined and dedicated life, he demanded much from them. They were required to pay from their modest salaries, working often two jobs to make ends meet, the amounts required to support his extensive travel, automobile, telephone and utility bills, and extraordinary projects book printing. Rather than asking the public or new students to pay for his trainings, the residents of his centers basically subsidized his mission, and the public. It was karma yoga, selfless service, and taught the residents the blessing of giving from the heart, and detachment from material possessions. He also refused to do what he called establish a "trading post" offering books, pictures and paraphanelia to students. The entire emphasis of his residential centers was to provide an environment wherein its residents could practice Kriya Yoga eight hours per day, after working in gainful employment eight hours a day, and take care of their physical needs and do karma yoga the remaining eight hours per day. This schedule enabled the residents to become extremely dynamic and to concentrate on Yogic practice without distraction. Only once per week, was the public allowed to visit the centers for the purpose of attending free public yoga asana classes. This was the antithesis of the Yoga studio phenomena which gradually became the norm elsewhere. He wanted his students to integrate the practice of Yoga in their daily life, and not to commercialize it or to make it a means of earning one's living. One of Yogi Ramaiah's avowed means of "helping" his students was what he referred to "ego-crushing." He was a master of orchestrating situations in such a way that students would come face to face with their ego's reactions: anger, resentment, jealousy, doubt, insecurity, pride and just about every other conceivable human limitation. For example, he would oblige two residents to live together in one of his centers. One of them had the I.Q. of 85 and the other an I.Q. of 150. He would put the dumb one in charge of the center, but then when things would get fouled up, he would blame the smart one. He also avoid praising any of his students. Sometimes, one would hear him say things, like why can't you be as good as so and so," but this was always for its effect on the one being scolded. He would boost the ones who lacked confidence for example, to return to formal studies at the university, and he would deflate the pretensions of those who were over confident or prideful. He could be merciless in skewering the ego. This approach, while very controversial, requires the absolute integrity of the teacher. If it is self-serving, then it is abusive. Ultimately, it is purifying, but one has to be committed to the process of "letting go" of whatever comes up in the way of reactions. Ultimately, this leads to freedome from the the samaskaras, or habitual tendencies, and to Self-realization. But interestingly enough, it is not a method which is mentioned in any of the Yoga Siddha's texts, such as the Yoga Sutras of Patanjali or the Tirumandiram. It is part of the Tantric tradition of honoring the guru, as a means of realizing the guru within. If however, it involves only one ego submitting to the will of another ego, it is merely an exercise in power. It finds its true value as a part of the "game of consciousness" wherein one uses the relationship to realize the Self, the Seer, as opposed to the the Seen, and everything with form. The "guru" is a principle of nature which leads one from the darkness of ignorance to the light of consciousness; it can manifest through events, situations, and people, but when it manifests consistently through an individual, we can say that this person is a "guru." One should not make the mistake of confusing the person, with the 'guru principle," however. The person is a vehicle, and sometimes the vehicle has flaws. The student must not give away his power to anyone, but must honor the "guru principle" working through whomever or whatever brings wisdom to him. This is also why Yogiyar could often say "I am not a guru," but also accept being honored as such. Despite his eccentricities, Yogiyar was charming, and we loved him dearly. He would spend hours on the telephone listening to some of his students on the other side of the country pouring our their problems. He regularly slept only three hours a night, refusing to even eat his dinner until "Master's work was done," which was usually around 3 a.m. We would rotate as his personal assistant every two weeks, arriving fortified and prepared for non-stop karma yoga sessions, and leave exhausted. His level of energy was nothing short of incredible. When the pressure of work, sadhana, karma yoga, and ego crushing became too much, occasionally, someone would drop out. Perhaps they just wanted an easier way. Our number became fewer, and Yogiyar, as we called him affectionately, made it even more difficult for newcomers to join the dozen or so centers he had established around the USA. As our numbers decreased, the burden increased on the remaining students, in terms of maintaining the centers. He was a remarkable person. Once, during a cross country pilgrimage, we stopped for the night on Pike's Peak, Colorado. Yogiyar announced that he was going off into the forest to meditate alone, and that no one should follow him. Overcome by curiosity, the author did follow him, and hiding behind a tree, witnessed him sit down in meditation posture, cross his arms, roll up his eyes, and disappear into a ball of light which resembled the sun! The author pinched himself several times, and rubbed his own eyes, to make sure that he was not dreaming. After a half an hour, the ball of light slowly faded, and the familiar form of Yogiyar returned. He got up, and as he began to walk back towards our camp, spotted the author and rebuked him for having disobeyed him. When the author subsequently asked him what he had been doing, Yogiyar told him that he was "planting seeds" in various places, which he expected would grow into important centers of spiritual life some day in the future. On many occasions Yogiyar also revealed his "siddhis" or yogic miraculous powers. This occurred in the course of our interactions with him. He had an ability to know exactly what we were thinking, to visit us during our dreams, and to tell us what we had been doing in private during the previous days, when we were off on our own. But he never made a show of his powers. And he would not allow us to stay with him for more than a few weeks, in most cases. He would send us off to various parts of the country or abroad, to practice and to work, and to become strong. In this way, the author worked in a variety of jobs, and started or developed several centers in countries as far flung and England, Australia, Malaysia, India, Sri Lanka and various cities in the USA and Canada. At the Parliament, in Sri Lanka in 1958, he demonstrated his ability to stop his pulse in one arm, while doubling the pulse in the other arm, while delivering a lecture to the assembly. Two physicians held his arms and reported on this following the demonstration. In 1967, in Australia, he demonstrated the breathless state of samadhi, in a medical laborartory. Before going into this deep trance state, he requested that the attending physician avoid any efforts to revive him. But, this request was ignored when the doctor found that Yogo Ramaiah's heartbeat, breathing a pulse had all gone to zero. The doctor injected him with a syrninge a substance to stimulate his heart, and he nearly died in the process of coming back to life so suddenly. After this, Babaji told him to avoid such demonstrations in the future. His greatest "siddhi" however, was perhaps his remarkable devotion and love for Babaji. This was palpable, and when he would lecture it was as if the great Master himself spoke through Yogiyar. He would chant with heartfelt devotion "Om Kriya Babaji Nama Aum," throughout the day. 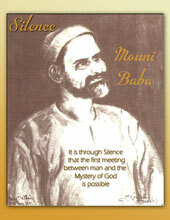 He frequently referred things to Babaji, or mentioned in passing how Babaji had revealed certain things to him. Babaji was the center of his life, and he made Babaji the center of our lives. He worked tirelessly to serve Babaji in everyone who came to him. Whether it was through classes, individual counseling, group activities, lectures or the organization of centers and ashrams where we could practice Kriya Yoga undisturbed, his heart and mind were focused on service. Through his example, we also learned how Babaji taught him. He often mentioned that Babaji would not "spoon feed to him" the personal lessons he needed to learn, but tell him "to find out" himself, when faced with certain questions. In this way we came to understand that Yogiyar had his own limitations, but as an elder student of Babaji, there was much to emulate in him. A good sense of humor went a long way in accepting his ways, or admonishments. Even if we could not understand why he dealt with us in certain ways, we knew that he loved us. Sometimes, he could not pretend to be stern, and would crack a smile, in the midst of some admonishment; and we would know that he was doing it for effect. His dramatic scenes left their impression on us. When giving personal instructions over the phone, he would usually repeat the same thing over again several times, in order to impress upon our subconscious the lesson he sought to convey. From 1954 to the present, every year, with Babaj's guidance and inspiration, Yogi Ramaiah organized an annual Parliament of World Religions and Yoga, alternating usually between a new site in India and the West. At these two to three day conferences, which were open to the public free of charge, fifteen to twenty speakers from various faiths shared in turn their beliefs and practices, and educated the public as to their religious or spiritual path. They included Christian fundamentalists, Buddhist monks, Jewish rabbis, American Indians, Yogis and Swamis, Catholic priests and even new age spiritual teachers. Their theme was "unity in diversity" and they served as a powerful antidote to that most common of spiritual diseases: religious fanaticism. It is a remarkable achievement to have continued this service for so long and so well. Yogi Ramaiah also exhibited a strong characteristic of his Chettiar ancestry: a need to build shrines. Aside from the one mentioned above in Kanadukathan, he also built a small shrine to Babaji in the San Thome ashram, in the early 1960's, a small yantra shrine on Bear Mountain, in New York in 1968, an underground yantra shrine on Mount Shasta in 1970, a shrine to Ayyappa Swami in Imperial Valley, California in 1972, a relatively large shrine, out of granite in 1974 on the birthplace of Babaji in Porto Novo, Tamil Nadu, a large shrine to Muruga, at Richville, in upstate New York in 1975, another shrine to Babaji in 1977 in Washington, D.C. and a shrine to the Divine Mother Kali in Long Island, N.Y. in 1983, and subsequently moved to Grahamsville, N.Y. in the Catskills. In 1987 he also built a large beautiful shrine to Palaniandavar (Muruga) on top of a hill at the campus of his college in Athanoor, Tamil Nadu. In 1983 he built his most important shrine ever, at his ashram in Yuma, Arizona. It housed the granite murthis or statues of the 18 Yoga Siddhas which he had been requisitioning for more than a dozen years from Mahabalipuram, just south of Madras. It was his most ambitious construction project to date. Knowing fully well that it would lie on a major earthquake fault, he had it built upon a concrete pile foundation, sunk deep into the earth, using cement with the hardness of dams. For nearly forty days he went practically without sleep, during its construction, so concerned was he that it be free of any defect. When it was completed, a grand celebration was organized, and newspapers throughout Arizona carried feature length news reports and many photographs of the exotic looking temple. Then, a couple of weeks later, he had a major heart attack. The strain of the work had finally caught up with him. He underwent quintuple bypass surgery at the Sinai Hospital in West Los Angeles. The surgeon, later told us that his arteries were not blocked, but that they were remarkably delicate. During his convalescence, Yogiyar began to make some changes not only in his lifestyle but also in his organization. He announced the formation of a Board of Directors who would take over responsibility for the administration of the various centers and ashrams, upon his death; he also took the author aside one night, and under a lamp post dictated to him a list of conditions to fulfill in order to assume responsibility for initiating others into the 144 Kriyas. He has never asked anyone else, before or since, to fulfill this responsibility. It took the author three years to fulfill these conditions, which involved strenuous sadhanas and other disciplines. When Yogiyar had confirmed their fulfillment, he asked author to simply "wait." 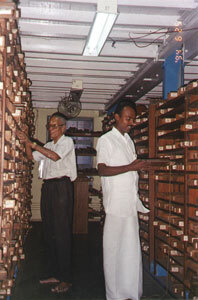 In 1980 and 1981, Yogiyar sent the author to India and then to Sri Lanka. After completing some assignments with regards to publications of the writings of Boganathar, he encouraged him to live quietly at a secluded retreat, on the beach in Dehiwala, just south of Colombo. There was little to do, so the author vowed to dedicate all of his time to intensive sadhana in silence there. The first three months were difficult, because the mind was not able to distract itself in reading or work, but then night and day became as one, and an ineffable peace began to permeate his consciousness. After eleven months, Yogi Ramaiah came. The author did not want to end his tapas. Yogiyar insisted that he must return to America, where he had a lot of work to do. But, to his pleasant surprise, the peace which he had gained there remained always easily accessible. For this, he remains ever grateful. But before leaving he dedicated a small shrine to Babaji which had been constructed at Katirgama, on the spot where Babaji attained nirvikalpa samadhi, under the tutelage of Boganathar, and he dedicated a new seaside ashram at 59 Peters Lane, Dehiwala, built with the assistance of Murugesu Candaswamy, and the former Chief Justice of the Supreme Court, Dr. H.W. Tambiah, the honorary chairman of our Lanka Babaji Yoga Sangam. In 1985, the author accompanied Yogiyar on a two week tour of medical facilities in the People's Republic of China. They were a strange sight to the Chinese, who were, at that time, almost all, still attired in their drab "Maoist" suits. We ate only rice and stringy broccoli three times a day, so unprepared were our hosts for vegetarians! Later that year, at the All India Institute of Medical Sciences, he was invited to present a talk on Yoga along with several other distinguished speakers at a one day conference on meditation.. On the speakers platform he was flanked by the His Holiness, the Dalai Lama, a yong spiritual teacher Sri Ravi Shankar, a famous Jain monk, and the then Minister of Home Affairs and future Prime Minister, Niramsinha Rao. When the Dalai Lama spoke haltingly, after each sentence, he would pause, and ask his assistant, a translator, whether what he had said in English, was correct. It was very charming. After speaking for only 15 of his allotted 45 minutes, the young Sri Ravi Shankar, who was at that time, practically unknown to the public, announced that he would respectfully give his remaining time to Yogi Ramaiah. Yogiyar spoke long and eloquently about Yoga Siddhantham and Babaji, and the need to integrate our spiritual life, through meditation into all areas of our life. Naramsinha Rao, greatly impressed the author when he said: "The reason why I meditate every day is because it allows me to accept more and more responsibility." In late 1985, the author organized the arrangements for 30 students from America to attend with Yogiyar, the Maha Kumba Mehla in Hardwar, for 48 days, between February and April 1986. We resided at the Tourist Bungalow by the Ganges, and every day enjoyed the company of thousands of sadhus and devotees who participated in record numbers at this extraordinary event, the greatest in 60 years. Afterwards, we all went to Badrinath, and enjoyed doing sadhana there in the sacred places associated with Babaji. In 1986, Yogi Ramaiah sold our centers in New York City and New Orleans, and with the proceeds from the sale purchased 145 acres of land five kilometers from the village of Kanadukathan with the help of two students, Meenakshisundaran of the USA, and Murugesu Candaswamy of Sri Lanka. After the ground breaking ceremony for each of the nine buildings he hoped to build there, as part of a proposed Yoga Rehabilitation Hospital and College, he left the author to administer the construction, assuring that the work done by the contractors was according to our requirements. It was a daunting assignment. During previous visits to India, rationing of materials and bureaucracy always made construction projects such as the reconstruction of the San Thome ashram or Kanadukathan ashram very problematic. It was desert scrub land, remote from any human habitations, with no water for more than a kilometer. Fifty women coolies were engaged to transport water in buckets on their heads, so that cement mortar could be mixed. In nine months, nine building went up, to the amazement of the author. The Minister of Industries for the State of Tamil Nadu came and inaugurated the complex. When the author returned to Canada a few months later, he made an application to the Canadian Agency for International Development for a grant to support the new Rehabilitation center in India. The Canadian government sent an aid officer to the complex in India, and made a report. While the facilities were beautiful and well equipped, even with ambulances, he reported, there was no administration. Sadly, our application for a grant was declined. The author began to wonder whether Yogiyar's unwillingness to delegate and his need to control everything was again becoming his greatest obstacle. Even before the complex was built, he and others had pleaded with Yogiyar not to build it in such an out of the way place. It would serve its purposes, we felt, only near a more populated area. Yogiyar was adamant that it be built only near Kanadukathan, and indicated that this was because he needed to prove something to his family. The pattern of family karma had not yet been exhausted, but a few years later, Yogiyar was accepted back into his family. They invited him to their functions and he was allowed to occupy one of the rooms in Ananda Vilas, the room where he was born. Some may wonder why Babaji would have showered so much grace on his close disciples, V.T. Neelakantan and Yogi Ramaiah, and then allowed their relationship to fall apart after fifteen years, and for the latter to continue as he did. They ignore the fact that even Babaji allows those who are close to him to learn their own lessons, and to work through their karmic tendencies. Babaji's disciples are not robots, with samskaras erased, and enlightenment implanted by their Satguru. While romantic autobiographies and polished biographies written by devotees usually avoid mention of the humanness if not failings of their cherished subjects, such accounts do more damage than good. They give the false, and romantic notion that the spiritual path is filled with miracles, that the guru will give us enlightenment, and that human nature does not resist vehemently our efforts to become divine. This is why, in writing this piece, the author has attempted to avoid varnishing the truth of things, and to recount the humanness, the enigmatic, and the problematic, in the biography of Yogi Ramaiah, while avoiding judgment as to why? In recent years, some have criticized him, and doubted him, but they have done so without even knowing the person, nor anything of his life, and his struggles. I hope that this account will cause them to pause, and to reflect more deeply upon their own human nature, before "casting stones" towards others. May his life, and his example, in its entireity, serve as a lesson for us all. Copyright January 2005 M. Govindan. All rights reserved.